Leather is a fantastic material. It is stylish, durable, and timeless, but it is also fickle. It can take weeks to properly break-in leather clothing or furniture, and it can take just as long to fix your leather if you stain it. Even worse, trying to clean leather yourself might not just spread a stain, it might ruin your leather entirely. Before you rush out to do it yourself, consider the hazards below, and think about a professional leather cleaning service. Do not ever wash and dry your leather like normal clothes. While some leather can withstand a normal wash, the dryer will absolutely destroy your leather. Traditional dryer heating will bake out the necessary oils of your leather, and once the oils are gone, it will continue to bake the leather, causing it to shrink and eventually to crack. Even if your leather isn’t ruined, it will shrink and the texture will be rougher. Repeated washing or drying will eventually ruin it. 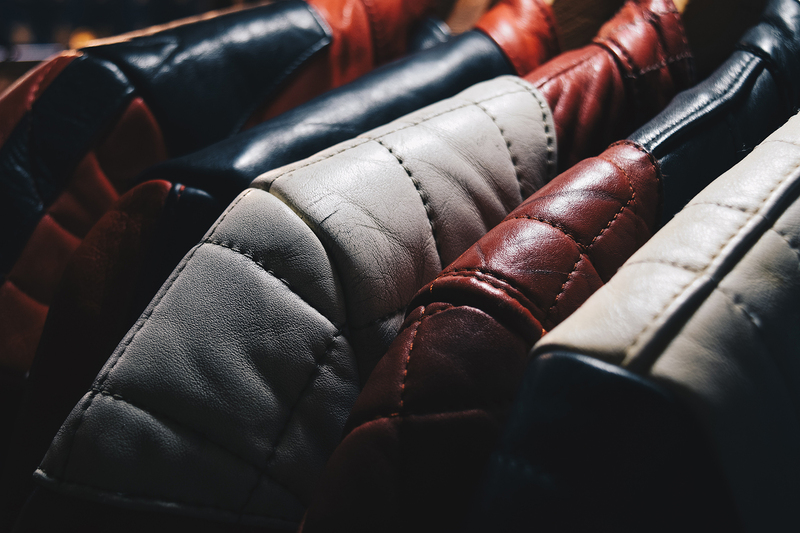 Some leathers can handle higher temperatures for awhile, but it is best to rely on a professional leather cleaning service that can determine if they are cleaning finished or unfinished leathers and what the processes are that went into making the leather. Plenty of online guides will tell you to avoid a leather cleaning services and handle it yourself, but doing it yourself means you may just make the stains worse. Even if you are as careful as possible, you can still manage to damage your leather. For instance, trying to clean your leather using many recommended liquids could get your leather clean while also changing the color permanently. You may get out your stain only to add a new one! It depends entirely on the quality and color of your leather, which is why every online guide will recommend dabbing a small spot on your leather that is less noticeable. That also means that you may be adding small stains to your leather in search of the proper cleaning agent. Even if the liquids don’t change the color of your leather, you could end up spreading a stain instead of removing it. Trying to clean grease or oils from leather may also extract some of the necessary oils native to the leather. Removing necessary oils could leave your leather with rough or discolored patches. To get long lasting life out of your leather, always use a professional leather cleaning service like Pico Cleaners. We have been cleaning leather for over 35 years, and we know all about the best way of handling finished and unfinished leather and how to treat grease, water, sun, or oil damage. If you have questions about your leather or cleaning, don’t hesitate to message us or call at 310-274-2431. Remember to follow us on Facebook for even more updates!